Posted originally on: December 6, 2016 by	James. Last modified: July 7 2018. There are comments. In a bid to encourage tourism through high season, Thailand have announced that Single Entry visas will be free from now until the end of February 2017. Just a quick update from me on this one – as Thailand is such a hub for digital nomads and location independent entrepreneurs, I felt it was worth sharing this info. 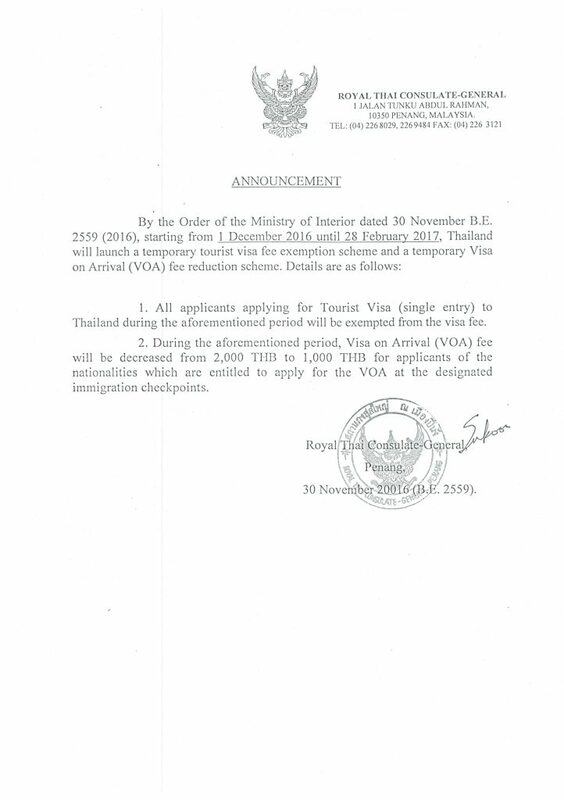 Thailand has waived the tourist visa fees for all nationalities when applying for a Single Entry visa in advance of your arrival in the country. Valid from 1st December until 28th February 2017, this is a worldwide offer – so is available from London, New York, Penang or wherever you go to get a visa. 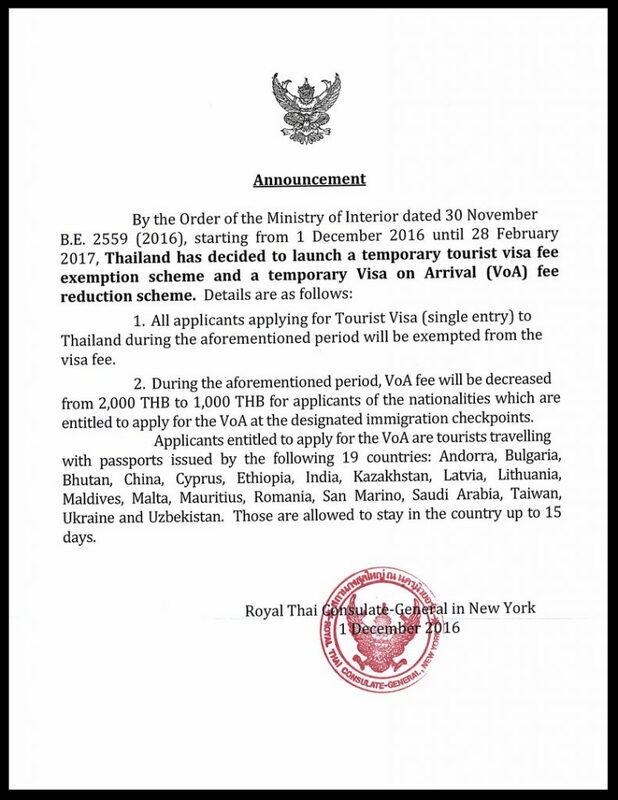 This means its a great deal for those just starting out at home, or those in Thailand looking to book some trips out the country to get a new visa. 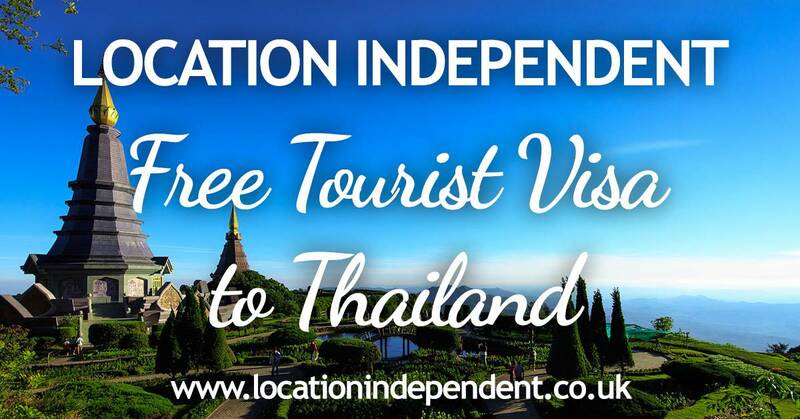 The Single Entry visa is normally £25 in the UK, and gives you 60 days in Thailand, which can then be extended by 30 days extra by visiting an immigration office. 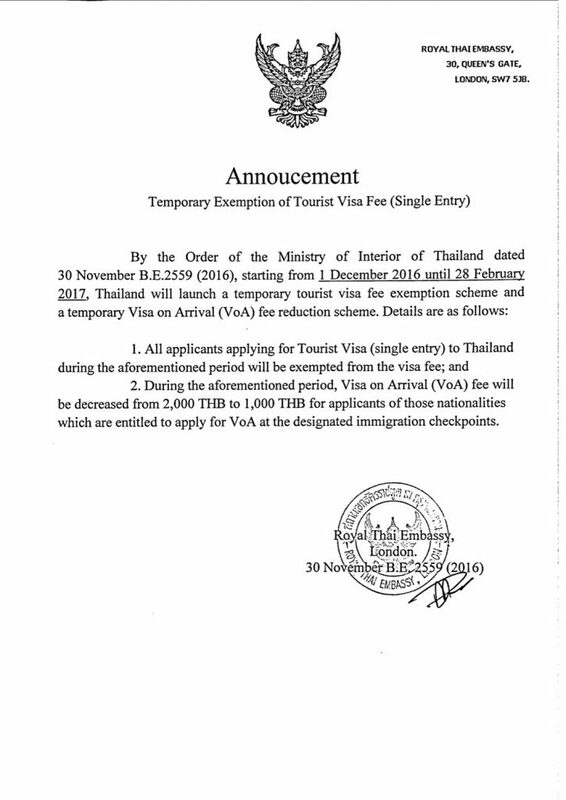 The Single Entry visa is easier to get than the Multi Entry visa, and much more cost effective (in my opinion) for concentrated stays in Thailand. And now its FREE, its even better! The Single Entry visa that is issued is valid for 3 months, so if you are planning on coming before end of May, its worth applying for a tourist visa during the free offer period to save some money. 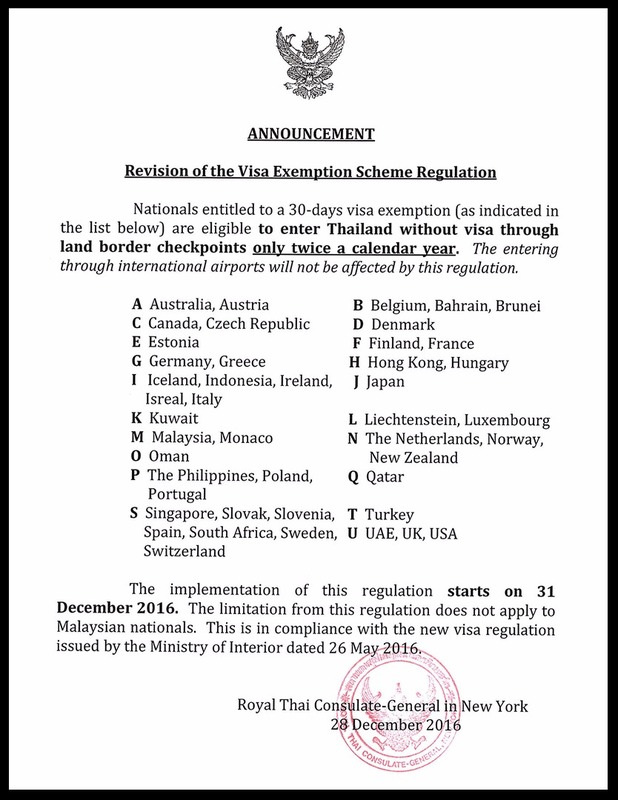 If you are coming to Thailand before end of May 2017 apply early so you get your visa for free. Looking for help with which Thai visa you need? Read my Ultimate Guide to Thai Visas and staying in Thailand!